will we contact you beyond your request. 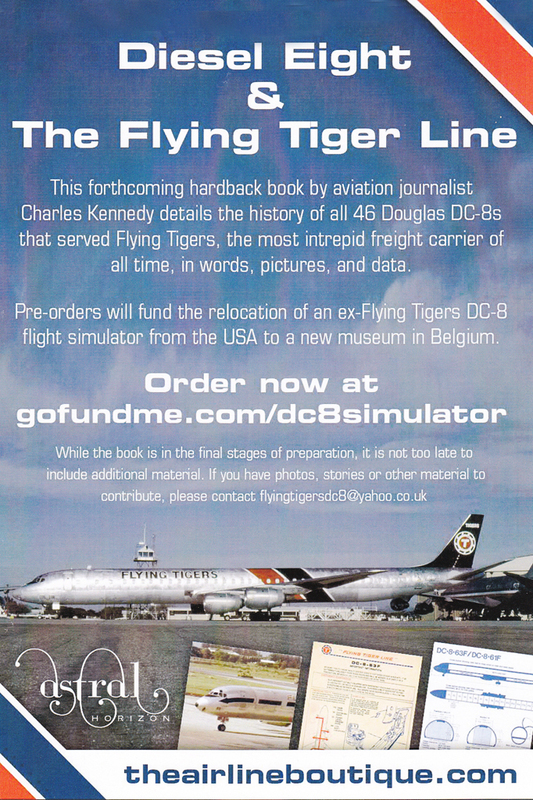 In the late 1950s, Douglas Aircraft of Long Beach, made a significant marketing push to draw many of the world's leading airlines to their new, revolutionary jet transport, the Douglas DC-8. The Douglas DC-8 went through a comprehensive development and flight test process, which was captured on a series of promotional colour chine films that were distributed to prospective airlines between 1957 and 1959. We were able to professionally digitize a number of these historic films to exclusively present on this DVD. It should be noted that the image quality on these 60 year old films is not to the same standard that we are used to in this modern age of HD. Also, some of the films experienced age related breakdown and shrinkage which were beyond our control. But we felt the historical value of the films was the over-riding factor and it was important that the films be made available despite their technical limitations. 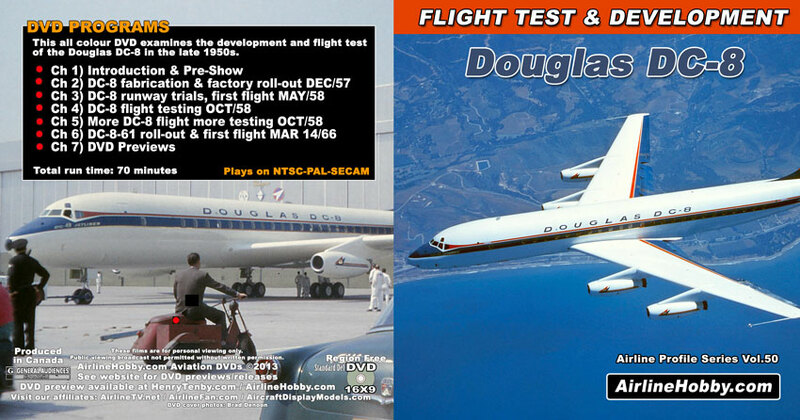 As evidenced in the video preview clip on this page, the films cover all aspects of the Douglas DC-8 flight test program including ground runs, landing and take-offs, inflight fuel dump capability, stall handling, pilot handling and visibility, braking and runway handling to name just a few. The DC-8 prototype N8008D features prominently in all the films and to see this fabulous historic classic jet transport being put through the paces for the camera is fantastic! As an added bonus we've included a film on the roll out and first flight of the Douglas DC-8-61.